Typically driven by the rich, celebrities, mafia or politicians, SUVs are considered the luxury status vehicles in Russia. SUV drivers consider themselves to be privileged, so traffic rules don’t apply to them. Primorsky Krai parliamentarian (congressman) Artush Khachatryan happens to own a Lexus SUV. On May 1, he stubbornly tried to run over police officers, who stood in his way and didn’t let him drive through a pedestrian only zone. 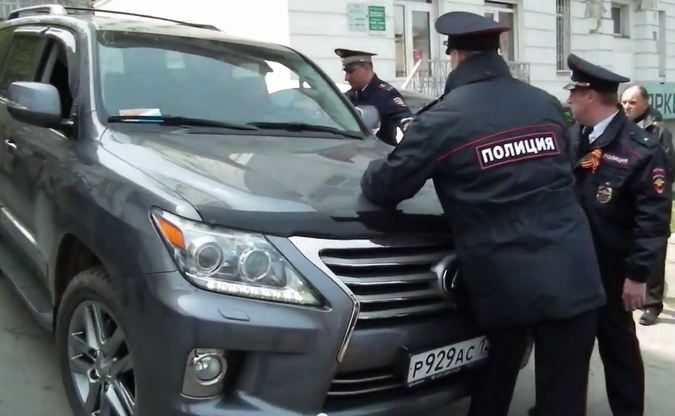 Surprisingly, Russian police didn’t attempt to arrest him, but were continuously and patiently talking him out of the wrongdoing, while he was threatening to fire them.